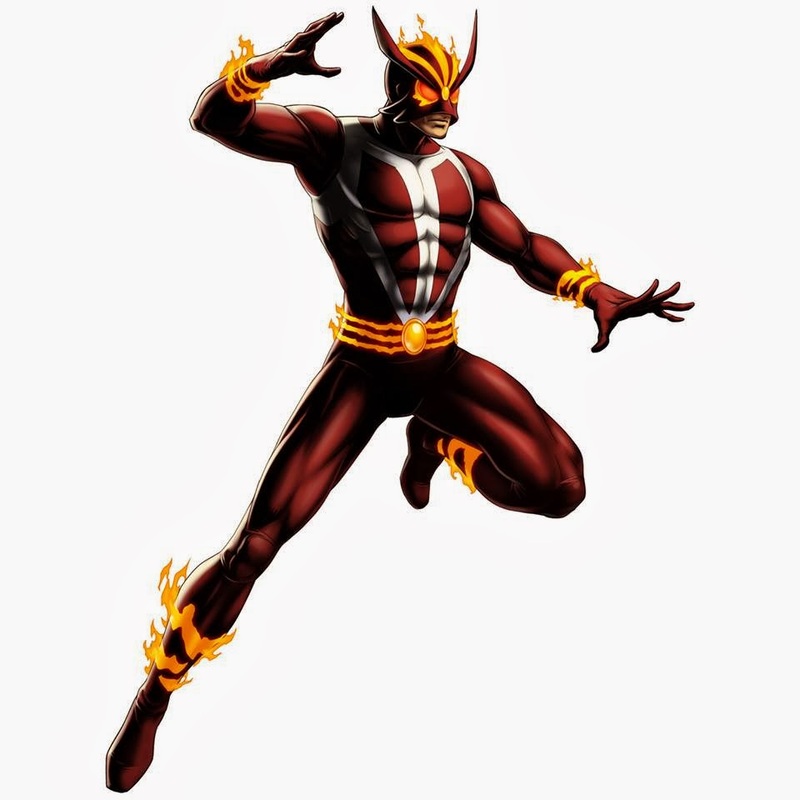 Sunfire can now be unlocked for recruiting by completing a series of tasks in Marvel Avengers Alliance. Most of them take place in Season 2, Charter 3 i.e. the latest chapter available (which also makes it a prime time to unlock the Daredevil gold suit). 1. Subject to Experimentation - Defeat 5 Test Subjects in Season 2. Test Subjects have been experimented on without their consent, granting them super powers at the cost of their minds. Test Subjects can be found in Season 2, Chapter 3 - Mission 1. 2. Incorrigible Behavior - Survive an Incursion. Incursions are battles against Heroes from alternate realities. They might look like the Heroes you know, but they are not. They threaten our world as surely as any villain. Incursions can be found in all missions in Season 2. 3. All Bottled Up - Collect a Plasma Tube. Plasma Tubes can be found in Deploys in Season 2, Chapter 3 and can also be bought in the store. 5. Flight of Fancy - Complete 3 Flight Deck Missions. Send any hero on any flight deck mission. 6. Grim Expectations - Defeat Grim Reaper in Season 2. Grim Reaper is the Boss of Season 2, Chapter 3 - Mission 3: Capo Crimine. 7. Ultron, Go Get It - Complete the Black Panther, Black Widow and Wasp Heroic Battle in Season 2, Chapter 3. Complete the Black Panther, Black Widow, and Wasp Heroic Battle in Season 2, Chapter 3 - Mission 5. 8. A Friend In Need - Use 3 Distress Calls. You can only receive Distress Calls by visiting allies. Add allies to help you win more battles. 9. Demonic Persuasion - Defeat 10 Demons in Season 2. Demons can be found in Season 2, Chapter 3 - Mission 2. 10. Solar Powered - Use the Hand of Kagutsuchi 3 Times. We're close to finding Sunfire! Use the Hand of Kagutsuchi to make your way through to him. 11. Binding Document - Defeat Mephisto in Season 2. Mephisto is the Boss of Season 2, Chapter 3 - Mission 5: Techno Illogic. 1. Harnessing Heat - Collect 10 Plasma Tubes & Collect 5 Solar Shields. Plasma Tubes and Solar Shields are rewards in Season 2 Deploys and Incursions respectively. They can also be purchased in the store. 2. Great Fists of Fire - Research the Hand of Kagutsuchi in the Lab. Research the Hand of Kagutsuchi to complete this task.